Another lawsuit has been filed in the Branson Duck Boat tragedy days after federal prosecutors asked for a freeze court cases. Tia Coleman, a survivor whose husband and three children drowned in the incident, filed a suit against Ripley Entertainment and five other entities involved in the ownership and operation of the Duck Boats Tuesday. According to the law office representing Coleman, the wrongful death lawsuit was filed in Federal court in Kansas City over the tragedy that killed 17 people on southwest Missouri’s Table Rock Lake July 19th. Coleman’s main goal is to ban Duck Boats. The complaint she filed says the Duck Boat industry should cease operations until Duck Boats are made unsinkable and their canopies are removed. The lawsuit comes less than a week after federal prosecutors filed paperwork in the same Kansas City court seeking an order to delay any discovery in lawsuits connected to the tragedy until a criminal investigation is over. It further seeks to prevent attorneys in those suits from sharing information and evidence they’ve gathered, stating that such activity could harm the criminal case. The Coast Guard referred the investigation to federal prosecutors on Aug. 13. No criminal charges have been filed. Missouri Attorney General Josh Hawley filed a petition Friday urging the Taney County Circuit Court in southwest Missouri to ban Branson Duck Vehicles and Ripley Entertainment from operating Duck Boats in the state. 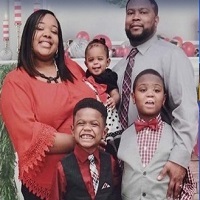 Tia Coleman’s complaint is the third lawsuit from the Coleman family of Indianapolis, Indiana which lost a total of nine relatives who died when the Duck Boat sank July 19th. One of those court cases seeks $100 million in damages. Tia and her 13-year-old nephew were the only Coleman family members to survive the mishap. A statement from the Coleman family’s law firm, Saltz Mongeluzzi Barrett & Bendesky, is here.